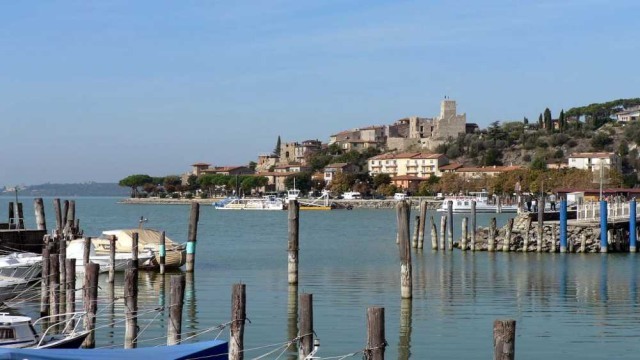 Each year the last Sunday of July in Passignano on the Trasimeno lake there is an exciting and original event: the “Palio delle barche” (Palio of the boats). 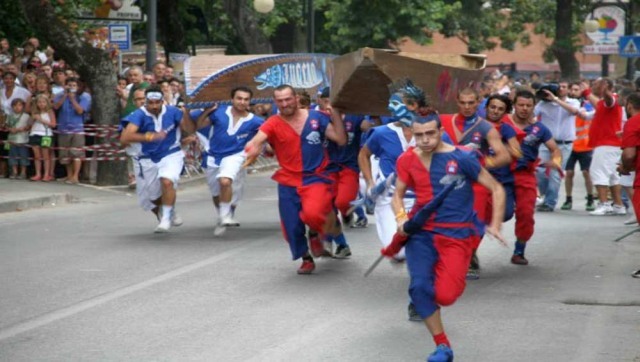 The Palio of the Boats is a historical commemoration of the last act of hostility between the noble families of the Baglioni and Oddi of Perugia: a bloody battle that, in 1945, has seen Passignano at the center of military operations. In this battle a small army of Oddi family had to flee from the castle, boats on their shoulders, chased by the militias of the Baglioni and Della Corgna families. 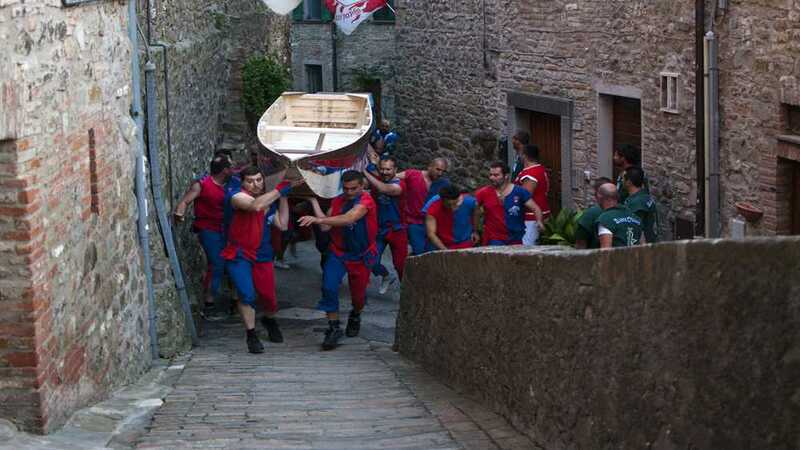 The Palio of the boats takes place in three phases: the first and third in the water, the second on the land along the narrow streets of the old town of Passignano. During the week of the Palio, the four districts of the village organize taverns “typical restaurants” where the visitors can taste recipes from the Trasimeno region and where they are entertainer with shows and historical representations in costume. Saturday 27 th July– Arrive in Perugia Arrival at the country farm “La volpe e l’uva” (Perugia, Central Italy, Umbria, near Tuscany). Check-in your apartment at 4:00 pm. Morning. Hands-on cooking class starts around 10:00am. You will prepare a four course lunch that you will eat at the end of the class, accompanied by our wines. Afernoon: You will visit the beautiful village of Passignano near the Trasimeno Lake accompanied by a guide, you will witness the Palio of the Boats and you will have time to taste the typical dishes of this part of Umbria in one of the characteristics taverns only open during this event. Afternoon.It is a wine tour in a winery that produces Sagrantino di Montefalco DOCGS. You will have a guided tour of the vineyard, cellars finishing up with a test of local Umbrian specialties and the wines. Morning. Hands-on cooking class starts around 10:00 am. You will prepare a four course lunch that you will eat at the end of the class, accompanied by our wines. Afternoon. You will visit the mystical city of Assisi, a beautiful medieval town based on Mount Subasio, overlooking a peaceful Umbrian landscape. Assisi is essentially known for the fact that it’s the place of birth of St. Francis in and that of Santa Chiara. If you are a group of people and you want to have single occupancy ( 1 person in 1 apartments) the single supplement is 150 euro.